Did you know that an orthodontist is different than a dentist? Orthodontics is a dental specialty all its own, that has different goals and processes than what dentists do. There are many ways to fix the teeth and many methods that have been tried for many centuries. Find out the amazing history of orthodontics and some facts you may not know! People have been straightening their teeth since the time of the Ancient Egyptians, as can be seen from mummies from this era. Even the Romans and Etruscans used crude orthodontic straightening methods to get a better smile. Many philosophers hypothesized better ways to straighten the teeth. A Roman writer Celsus (1 A.D.) thought the teeth could be pushed into place. Pliny—around the same time—thought the teeth could be filed to be the ideal shape and size. It wasn’t until 1728 that Pierre Fauchard—or the “Father of Dentistry”—made great strides with orthodontics. He first practiced crudely removing the teeth, replacing them straight, and tying them to other teeth so they could heal straighter. From his influence and others after him, modern orthodontics came to be. Matthaeus Gottfried Purmann developed dental impressions in the 17th century. In the early U.S. years, barbers and medical professionals experimented and performing small orthodontic treatments. This was until the first dental school was established in 1828. Afterwards, J.S. Gunnell invented a form of headgear that was successful in straightening the teeth. Dental students and professionals figured out how to make a metal appliance to straighten individual teeth, which led to the now-used bracket and wire design in modern orthodontics. Before 1970, orthodontists wrapped wires around each tooth and required that headgear to straighten. This practice involved lots of metal in the mouth, which is why a better form (that we use today) was invented in the following years. Now, in the last 20 years lingual braces (braces behind the teeth) and Invisalign (transparent aligners) were invented to allow patients a hidden apparatus with orthodontics. Did you know that orthodontists are dentists? Every orthodontist is a dentist because they have completed dental school and then some. However, not all dentists are orthodontists. The standard requirements for dentists are to complete 4 years of undergraduate schooling and then 4 years at a dental school. They will have to pass exams and become certified to do dental work. Orthodontists do all of those 8 years, plus they complete 2-3 more years of orthodontics, training in bite and alignment correction and surgical orthodontics. All throughout their career, both dentists and orthodontists must do continuing education courses as well as pass tests to continue working. 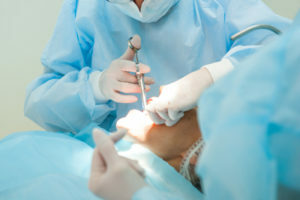 Surgical orthodontics, which is surgery to help remedy a misaligned jaw or bite. Braces design, fitting, adjusting and complete process with lingual braces, ceramic (clear) braces, traditional metal, and Invisalign treatment. 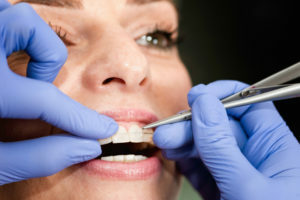 Training in placing temporary anchorage devices, which are tiny screws in the mouth that push, pull, lift or intrude teeth that are being straightened. Designing and creating retainer devices to keep bite, alignment and teeth in proper position. An orthodontist must complete 4 years of dental school, plus 3700 hours or specialized training in orthodontics to get their degree. There are more than 19,000 orthodontist members under the American Association of Orthodontics in the U.S., Canada and abroad. 1 in 4 people with braces are adults. 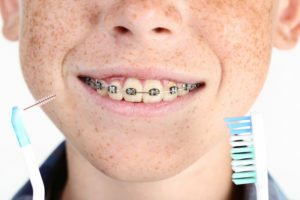 Children make up another 1/4th of people wearing braces to correct bite and alignment. Because of modern technology, all four of your dental options (lingual, metal, ceramic and Invisalign) can straighten your teeth in about the same amount of time. It is possible to only get braces in either your upper or lower jaw if the other jaw is straight. The jaws stop growing as a child ages. That growth stops towards the end of the teenage years around 17 or 18. Straightening the teeth is effective for people after this age, but it may take longer than it would for children. Patients generally see their orthodontist every 6-10 weeks for braces adjustments. Patients with severe bite and alignment issues may need to come in more often. Orthodontists often usually have “DDS” or “DMD” after their names. This stands for “Doctor of Dental Surgery” and “Doctor of Dental Medicine”. Both are considered equal degrees, but the degree given depends on the dental school attended before orthodontic training. Materials used in metal braces are so light that they won’t set off metal detectors in airports. How Do Orthodontics Help People? If you’ve never been to an orthodontist, you may wonder why you need one. Not everyone may need orthodontics to correct bite and alignment issues, but everyone should see an orthodontist at some point. The American Association of Orthodontics recommends that every person have an orthodontic visit between ages 7 and 8. 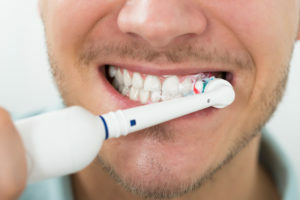 This is prime time to detect bite and alignment issues that would lead to crooked teeth, speech impediments, oral hygiene diseases, and problems chewing, biting and functioning normally. When issues are found, they can quickly be corrected so children can grow and develop normally. If a teen or adult wants to straighten their teeth to boost their confidence and success, they can receive braces starting around age 11. For specific questions about our orthodontic services, call Belmar Orthodontics today at (303 225-9016! There are many oral health problems that can happen with braces if you are not focused on your orthodontic care and brushing/flossing of your teeth. Your diet can damage your teeth during your orthodontic treatment, which is why we want you to avoid certain foods and drinks. Your diet can damage your teeth during your orthodontic treatment, which is why we want you to avoid certain foods and drinks. Overly acidic or sugary foods and drinks can lead to tooth decay and acid erosion that harms your tooth enamel. We can help you to know what foods and drinks to avoid so you don’t have dental problems during your time with braces! Braces provide patients with a spectacular tool for straightening smiles and correcting jaw problems that impact self confidence and overall oral wellness. Technology has improved over the years allow for less and less of an apparatus on the tooth enamel, but, nonetheless, there is still an apparatus sitting on your teeth for the duration of your treatment. Unless you are wearing removable Invisalign aligners for your orthodontic treatment, your apparatus will consist of wires and brackets. Your wires and brackets are fundamental to the treatment process, but they also can make it difficult to remove food particles that get stuck under, between and in your brackets and wires. If this food is left to fester, the acidic content of the food can eat away at your tooth’s vital tooth enamel. 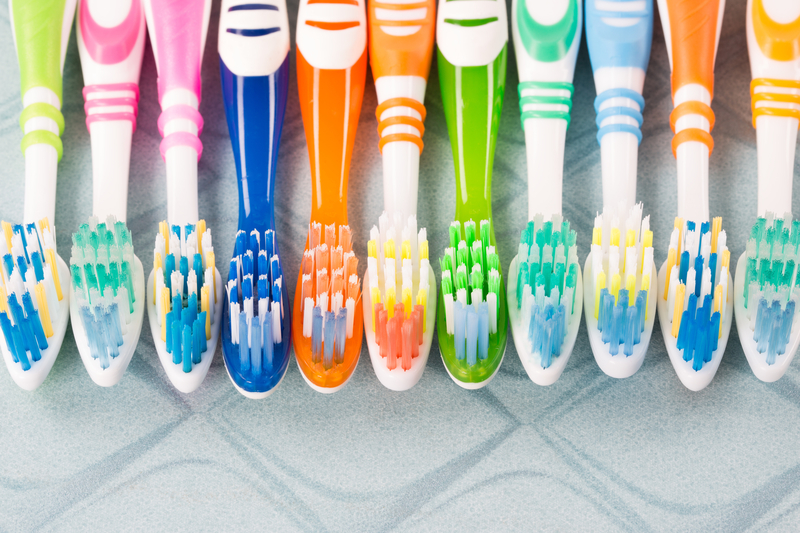 Combat this type of tooth decay by using the tools your orthodontist recommends for cleaning your teeth. This includes regular brushing, an interdental brush, floss (and floss threaders) and possibly a water flosser to help you use the force of water to rid your mouth of stuck debris. When it comes to taking care of your teeth with braces, one of the best things you can do is pay attention to what you are putting in your mouth. Thinking about what is coming in contact with your pearly whites can protect your teeth from erosion and decay. Certain foods and beverages are more acidic (eroding) than others. Low acid foods are better for your teeth even though some of their high acidic counterparts are good for your body. During orthodontic treatment, focus on eating foods that are BOTH good for your body AND your teeth. Less tooth-friendly foods and drinks include: apples, cherries, oranges, peaches, pears, plums, pineapples, raspberries, tomatoes, pickles, soft drinks, fruit drinks, vinaigrette dressings, BBQ sauces and salsas. More tooth-friendly foods and drinks include: bananas, mangoes, melons, carrots, cucumbers, lettuce, beets, milk, water, meat, poultry, seafood, eggs, crackers, soups and pasta. Use a threadable floss or a floss threader. (If using a floss threader, thread regular floss through the eye of the threader, the same way you would with a sewing needle and thread.) Using the small or the pointed end, insert the floss or floss threader between the teeth, but below the archwire. Gently move it back and forth until it is able to thread the floss between the teeth. Once in place, you can floss the two teeth on either side of where you have inserted the floss, taking care not to apply force or pressure against the archwire. Repeat between all teeth. 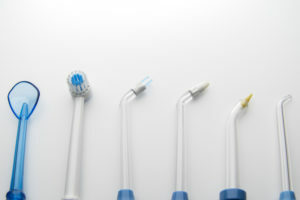 If you are having ANY difficulties cleaning your teeth with these above tools, contact our office so we can help! Did you know that about 1/4th of all people with braces are children? 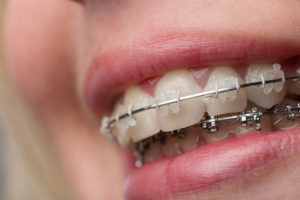 Millions of Americans receive orthodontic treatment for bite and alignment correction and for straightening the teeth. However, adults require treatment differently and for longer than a child would need, and child orthodontics have different goals for patients than adult orthodontics do. Both of these areas of orthodontics differ, but are also very similar in techniques used to create a beautiful smile. Orthodontic treatment is one of the easiest ways to help improve your health. Braces can help correct major oral health problems and can help avoid dental emergencies in the future. In children and adults, braces straighten the teeth so that they are aligned properly for speech, eating, biting and more. Straighter teeth are easier to clean and easier to manage, which leads to better health. Teeth must come in at specific places in the mouth for both children and adults. Child orthodontics focuses on that proper bite and tooth placement, and adult orthodontics seeks to improve the look of a smile. 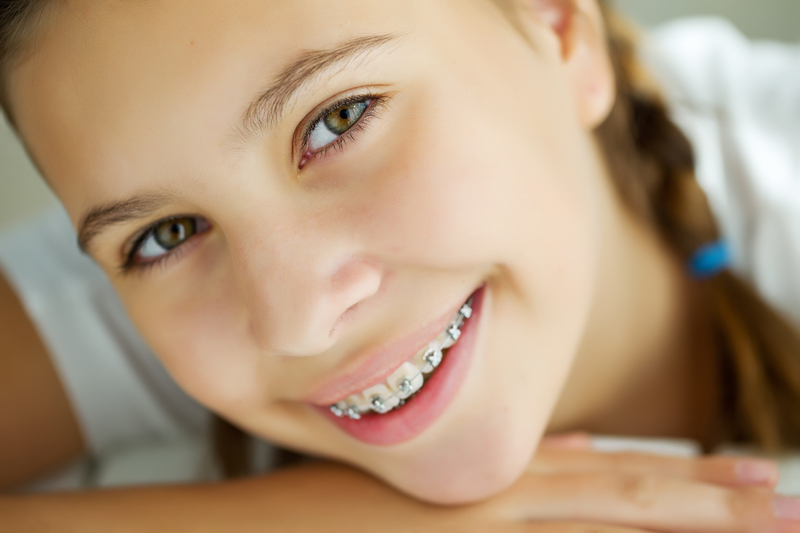 Did you know that children often wear braces, only to get them again as adolescents? 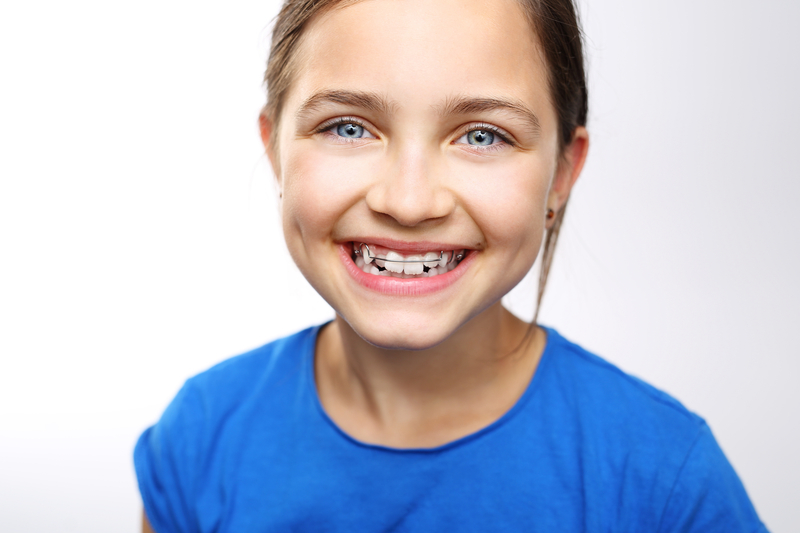 Child orthodontics is a popular orthodontic option for at least 1/4th of braces wearers. Dentistry has been around enough centuries to know that the teeth, bite, alignment and growth happen in a specific way. Teeth must come in at the right spot and must be aligned in a specific manner in the jaw. As a child begins to get their baby teeth, some may be crooked. Depending on oral health conditions, and problems such as thumb-sucking, the shape of the teeth and bite can change. Some children will have teeth that protrude outward, inward, or teeth that are in various directions. This leaves them open to the risk of broken or fractured teeth, tooth decay and problems with speech and development. Child orthodontics is the first phase of getting braces early. It focuses on getting the jaws lined up correctly and the teeth resting on each other in the right way. Once that happens, the baby teeth can fall out and the adult teeth can smoothly come into place. Child orthodontics will correct the major issues a child’s mouth has when they are around 7 or 8 years old. Starting at 11 and later, braces will seek to make the teeth look more attractive. 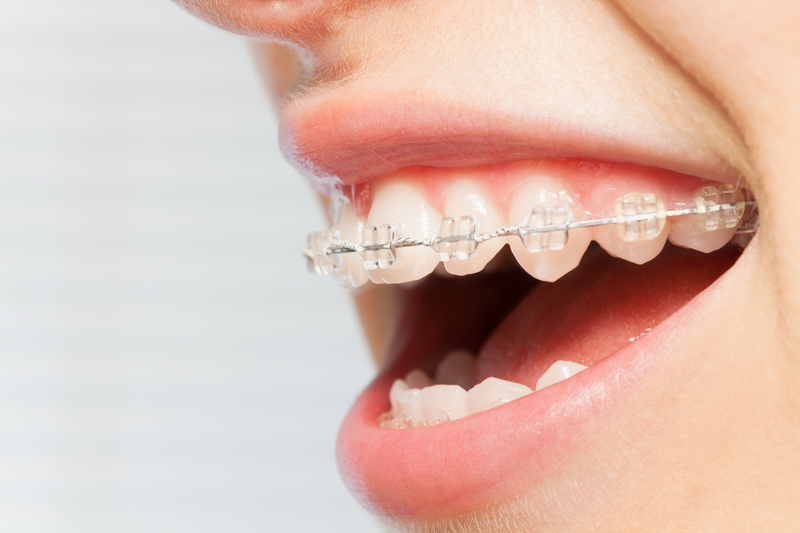 Most people think that teens make up the majority of patients with braces. However, adult orthodontics is very popular as well, with about 1/4th of all orthodontic patients being adults. There are more adults wearing orthodontic appliances than you realize, especially because of the “invisible options” they have that children don’t have. Adults have a harder time with straightening their teeth than children do. By adulthood, the mouth and jaws have stopped growing, making them less moldable than a child’s jaws. 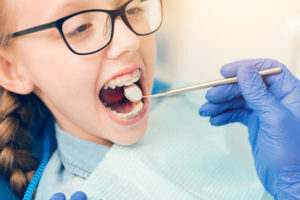 The treatment that would have been easy for a child may take twice as long for an adult, or may require surgical orthodontics to achieve a straight smile, or proper bite and alignment. However, adults get the benefits of Invisalign treatment and lingual braces, which most children can’t have. Invisalign is an “invisible” straightening option for adults and teens that uses a strong, clear aligner to straighten the teeth. Digital scanning creates customized aligners that a patient changes out ever 1-2 weeks, which slowly shift the teeth into their proper place. This invisible option allows adults and teens to brush, floss, eat and play sports without brackets and wires in the way. Lingual braces is another “invisible” straightening option. It has metal brackets and wires, except they’re placed on the back of the teeth. Only an adult can use these, as the baby teeth are not large enough for lingual braces to fit. Both adult orthodontics and child orthodontics correct bite, alignment and tooth issues, but the options available to the two age groups differ slightly. When considering orthodontic treatment, there are various aspects you have to think about that include cost, health changes, aesthetic appeal and more. Many people think that braces are very expensive, when they are actually quite affordable. Your family may even save more money over time because of the oral health problems that are avoided by proper orthodontic treatment. A major reason so many people have orthodontic treatment is that they want to improve their smiles. Not only does a straight smile look beautiful, but it helps patients feel more confident. Studies show that child orthodontics helps children feel more confident in school and they do better academically. 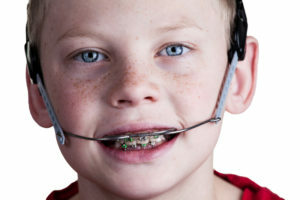 Braces can correct speech problems caused by bite and alignment issues. They can straighten the teeth, making them easier to clean, and thus reducing problems with tooth decay, gum disease and bad breath. People socially perceive patients in a more positive way if their smiles are straighter and healthier. No matter if you choose orthodontic treatment for aesthetic appeal or for health reasons, the benefits are worth the time, effort and money you put into your treatment. Dr. Hardy practices a conservative approach to orthodontic treatment. 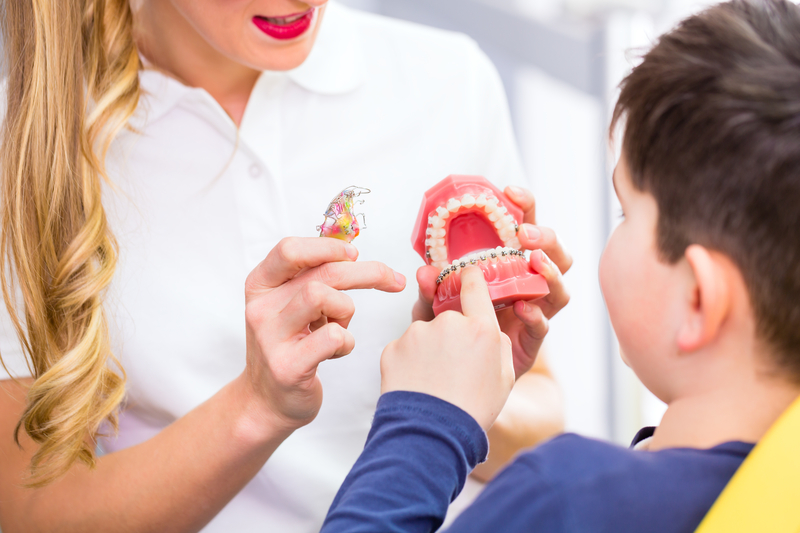 While it is important for children to have an early orthodontic assessment to look for serious dental concerns (around age 7), the majority of children will not require orthodontic treatment before age 11. Your child might need child orthodontics or they may only need orthodontic treatment as a teen. Some people are naturally born with straight teeth that don’t pose them a problem, or their teeth start to shift later on in life. Whether your child needs child orthodontics or you need adult orthodontics, call Belmar Orthodontics today at (303) 225-9016 for your free consultation! There are many things to think about when deciding to receive your braces. What type of braces should you choose? 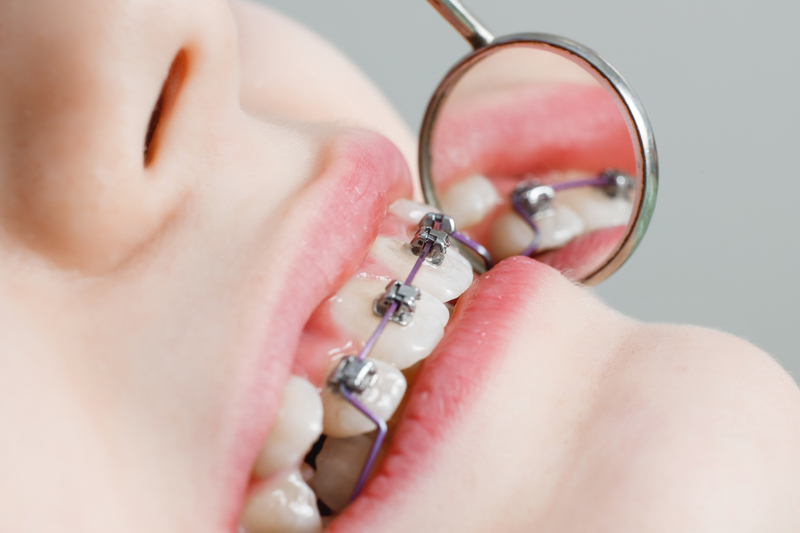 What age should you receive those braces? Then, after deciding what method of teeth straightening you want, you then have to learn how to properly care for your teeth. You will also have to get used to sometimes having sore teeth after your appointments and fitting in seeing the dentist. We can help you to know about your braces appliance from choosing a braces type, cleaning them, and avoiding tooth decay while you get a straighter smile. 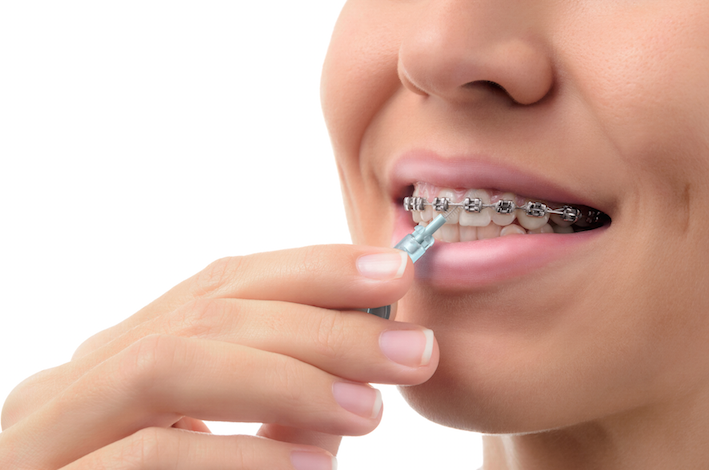 After you’ve chosen the style of braces you want, you need to have them fitted to your mouth. 3 out of the 4 options available to you will be bonded to your actual teeth. At our office, we make sure your teeth are thoroughly cleaned and dried before we bond brackets to them. With metal braces, we will use a cement bonding glue to adhere a metal bracket to the center of each of your teeth. Your back molars might receive a band that goes all the way around the tooth. Once the metal bracket is cemented to the center of each tooth, we will pass a small metal archwire through each bracket both on top and on bottom. In the end, you will end up with a wire across the teeth on your upper jaw and across the teeth on your lower jaw. The glue we use may taste a bit unpleasant, but it is otherwise harmless. The entire process of getting your brackets and wires placed on your teeth will be between 1 and 2 hours. Depending on what option you have chosen, your braces process might be a bit different. 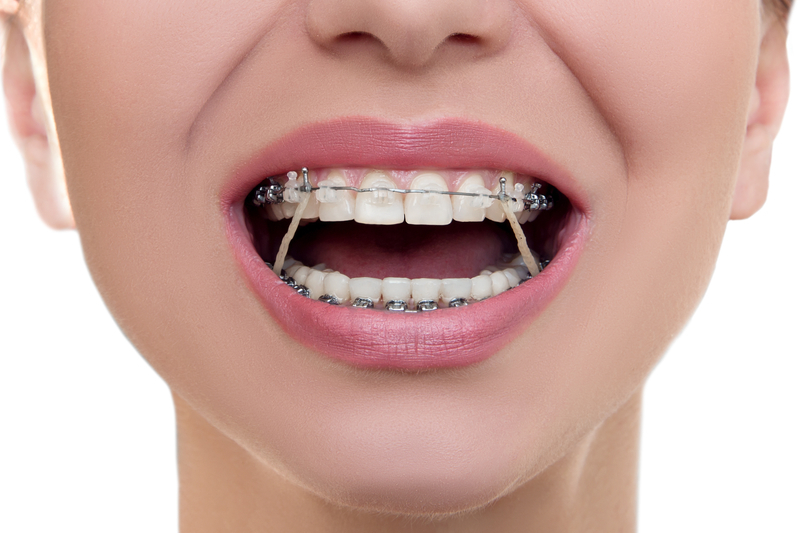 Ceramic braces are applied the same way that metal braces would be, as they too consist of brackets and wires. However, if you choose to get lingual braces, we can’t simply place brackets on the backs of your teeth. Once Dr. Hardy has determined that you are an ideal candidate for lingual braces, he will take impressions of your teeth. He then sends them to a lab so that your brackets and wires can be custom made. The braces will then be bonded behind your teeth at a separate appointment. 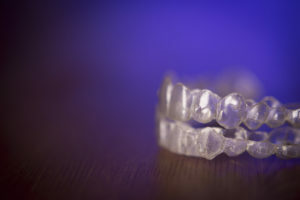 For Invisalign treatment, we design a series of transparent aligners that you will switch out each week. 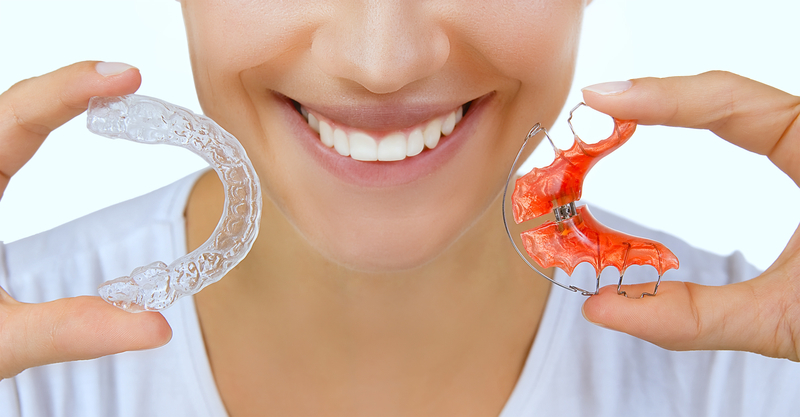 We can take digital impressions of your mouth that we will use to design your aligners. We use a digital scanning system that sends images to a state-of-the-art printing machine. Then, each week you will have new aligners that you will simply replace. It’s that easy! Most patients will have braces for 18-24 months. Some people don’t like braces, but the majority of people do. You can choose the style of your braces and if you want them to be hidden or noticeable. 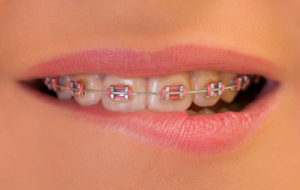 You can also dress up your braces with colorful bands if you so desire. Braces require more care than what you are used to. You must take more time with brushing and flossing, even using tools such as a waterpik, proxabrush and floss threaders to fully remove food from your braces. You must clean your teeth thoroughly to avoid tooth decay during your time with braces. We can show you how to do all of this at our office. Each patient will come in every 4-6 weeks for orthodontic checkups. This is where we will examine your braces and how your teeth are moving. You will experience initial soreness and discomfort after you first get your braces. You might have this discomfort every time your braces get tightened as well. A simple over-the-counter pain reliever should help you as well as eating soft foods. 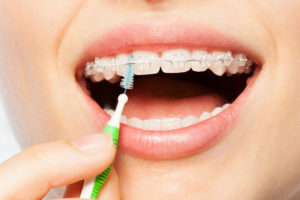 Having braces changes life a little bit when it comes to cleaning your teeth (which takes longer), but the benefits far outweigh everything else. At the end of your treatment, you will have an amazing, beautiful smile that is sure to wow everyone around you. If you want to know more about your braces options, or want to get started on your journey today, call Belmar Orthodontics today at (303) 225-9016!